The past can seem at once distant and influential in our lives. However much we know about history ourselves, it's a perennially powerful topic to draw on when it comes to explaining your brand, your origins and your values. So no surprise it's used so much in advertising. The three ads in this week's edition of Video Worth Sharing all contain a dash of history to help tell their stories. This is just one in a series of warm, friendly ads from East Midlands Trains. 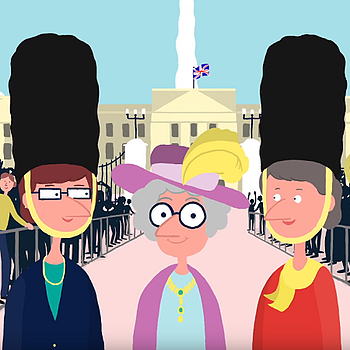 Their aim is to show the outstanding customer service you'll get when travelling with them, which they do through a snappy, humorous animation and a natural voiceover. How do you turn a taboo into a video celebrating what it means to be a woman? Bodyform are on top form here as they take a leaf out of Dove and Always' book, going for on-the-nose honesty rather than typical coyness. It's the best approach we've seen to this type of ad. When your entire brand revolves around one product, I can understand why you'd feel inclined to celebrate it. Wool experts Woolmark show their audience how the fabric has evolved over thousands of years in an intriguing tale told with passion and charm.